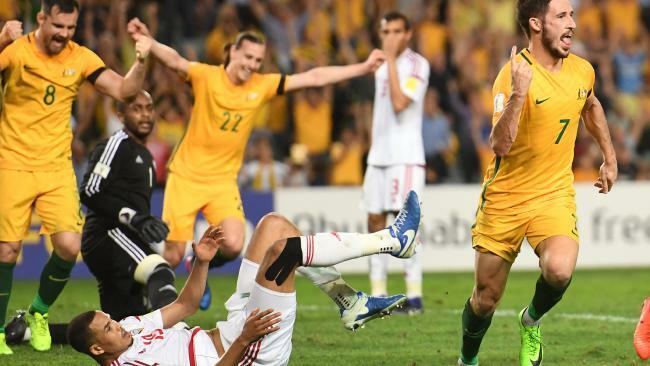 Tues WCQ FTA – Aus v UAE – 256,000 (Syd 80,000 melb 95,000 Bris 43,000 Adel 23,000 Per 15,000) – on 9Go! The West Australian asks Why are junior soccer fees so much more than Auskick? The Daily Telegraph understands that the Force will be the Australian team scrapped should the Super Rugby competition be cut to 15 teams, the model SANZAAR prefers for 2018-19. Western Force chairman Tony Howarth says the club’s efforts to succeed have been undermined by Australian rugby powers. The Australian Rugby Union has denied it has sacked the Western Force, the Force insist they are very much a going concern, but it may well be that their survival depends on how airtight is a legal clause signed when the national body took control of the club. The WA State Government has left open the possibility of withholding millions of dollars in road trauma funding from the Western Force after claims the team will be axed from the Super Rugby competition. THE Rugby Union Players Association has signalled it would oppose the ARU telling Western Force players which franchise to join next year in the event an Aussie team is axed. The latest Australian Multi-Screen Report has found that Australians are spreading their viewing across multiple screens, with television still the most watched. Just two days after confirming its 20 year partnership with CUB’s VB had come to an end, Cricket Australia has announced Lion’s mid-strength XXXX brand has signed a four year sponsorship of the sport.